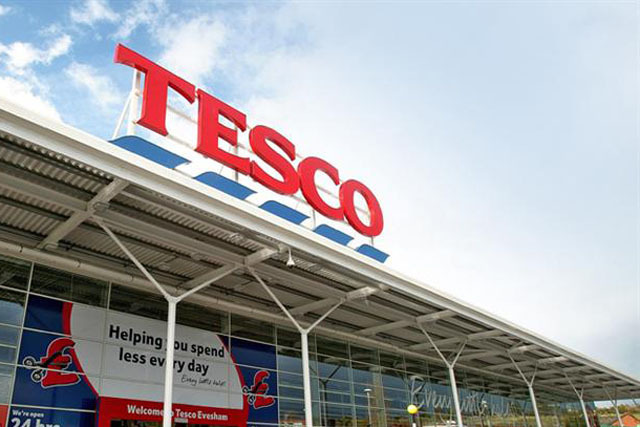 Tesco is reportedly preparing to cut between 9.000 and 10,000 jobs in a cull that will slim down management staff at stores, as well as its HQ and closing stores. Sources speaking to the Sunday Telegraph claimed that up to 10,000 total jobs could be lost, although it is possible this could be reduced as Tesco seeks to provide staff with alternative roles. It isn't clear whether the cuts could affect Tesco's marketing team. Lewis has earned the nickname 'Drastic Dave' with a revival plan that has resulted in swingeing job cuts and the sale of Tesco's Blinkbox business. The retailer is fighting reputational and organisational battles after an accounting error that saw Tesco overstating its profits by £263m. The supermarket is already being investigated by the Serious Fraud Office, and groceries code adjudicator Christine Tacon. Lewis' efforts may be paying off, with Tesco reporting its first sales rise in a year in the 12 weeks to 1 February. Tesco's sales grew 0.3% over the period and the market grew 1.1%, although the figures were still poor "by historical standards", according to data from Kantar Worldpanel. The retailer is seeking a new chairman, with prospective candidates now rumoured to include ITV chairman and former Asda chief executive Archie Norman. Former Dixons chairman John Allan is also on the list.